﻿ Covert Social Content - Exclusive Offer For New Members Only! 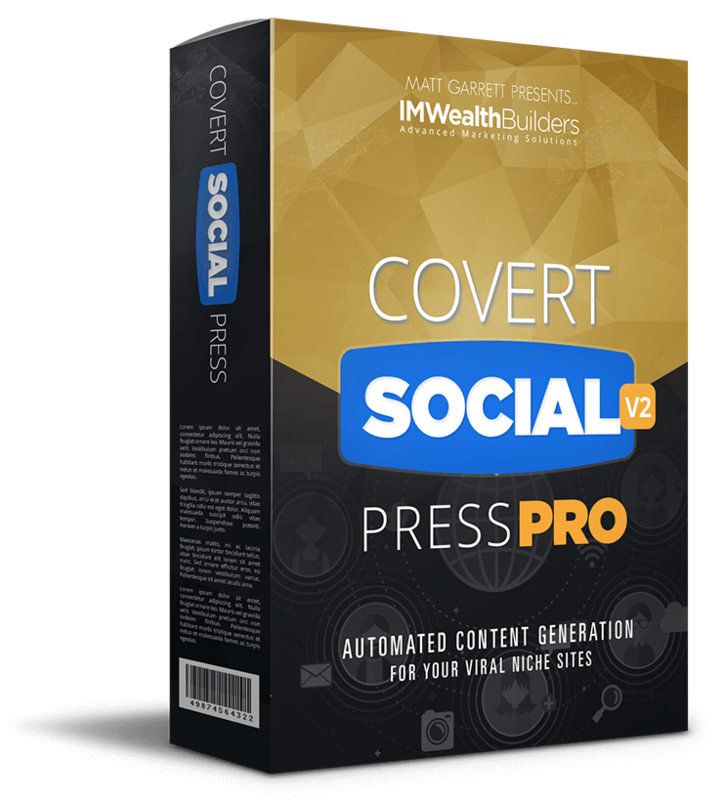 Press Play Below To Discover How To Put Your Profits In Overdrive With The "Too Powerful To Make Public"
Features Of The Covert Social Content Plugin! Click The Button To Secure Your Copy Of Covert Social Content Now! to come back later, this $37 One-Time-Offer will be gone forever! Word Very carefully. If You Snooze, You Lose! First of all welcome and thank you for ordering the Covert Social Press theme, we're very excited to have you on board... and we hope know you'll love this theme. You now have your hands on one of the most powerful WordPress themes ever created. It will increase your ranking, clicks and sales... Plus get you'll a lot more traffic through the covert inbuilt social traffic generators. Even better you have an unlimited license for the theme - both for your own use and for building sites for clients and customers. You could literally build hundreds - even thousands of profit pulling social bookmarking sites using the Covert Social Press theme. But who has the time to find content and create posts for so many blogs? The answer would be nobody! And that's why we decided to come up with a solution for you. We have developed a plugin so powerful we decided to only make it available to existing Covert Social Press users - because this baby is a real game changer! This is auto-blogging on steroids - and then some! We have designed the plugin to be as easy and fast to use as possible. And since it has been designed to work specifically with the Covert Social Press theme, the posts it produces will always look great on your "Social Press blog". First of all Covert Social Content is a super simple to use and install (1 click install) WordPress plugin. That means the software will work on any computer, all you need in order to use it, is a self hosted WordPress blog. And because it's designed to work with your Social Press theme there is no fiddling with templates, css or any techy stuff - it works right out of the box! Enter they keywords you want to use for auto- blogging campaign. 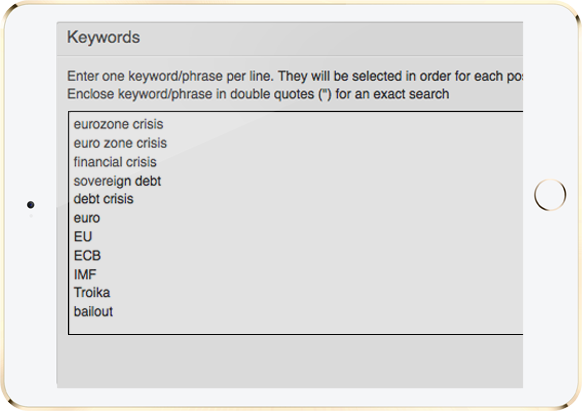 You can add as many keywords or phrases as you want! You can even put them in "quotes" for exact match. Select if your new auto blogged posts should be published immediately or saved as drafts for you to edit before posting. 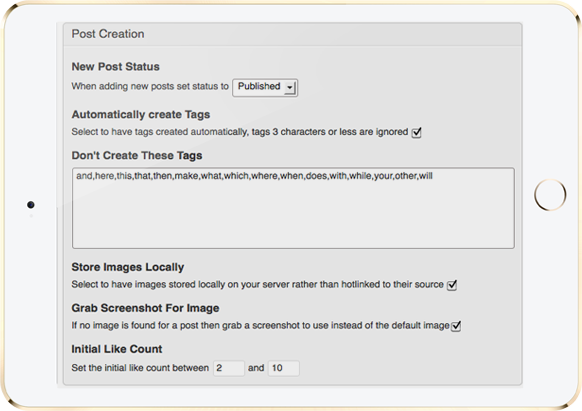 Have the plugin automatically create tags for your post based on the title of the source content. 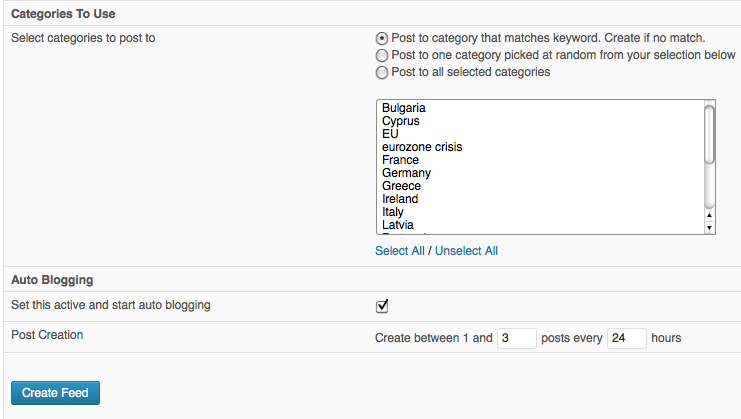 Select which of your current WordPress users should be set as author for your auto blogged posts. 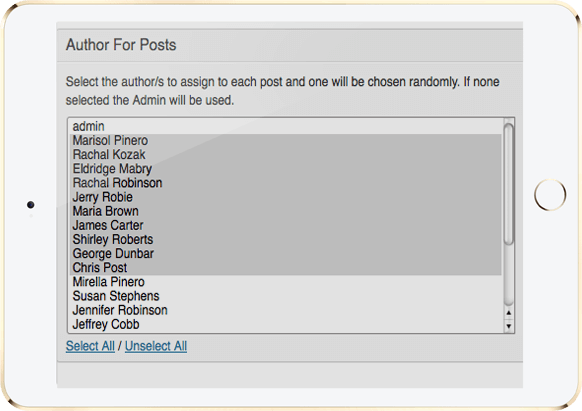 If you select multiple, the plugin will choose a random author for each post. 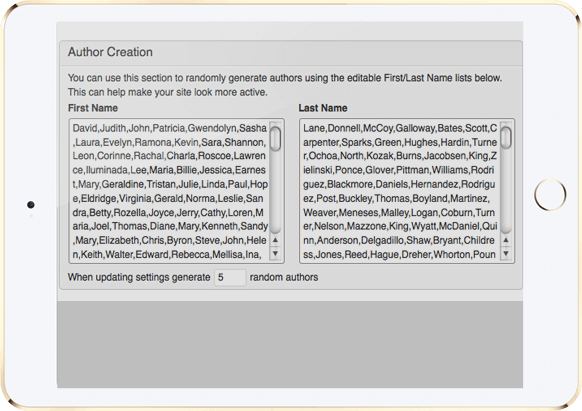 We have included a "one click" random author creator, you can use to instantly create as many users as you like for your blog! 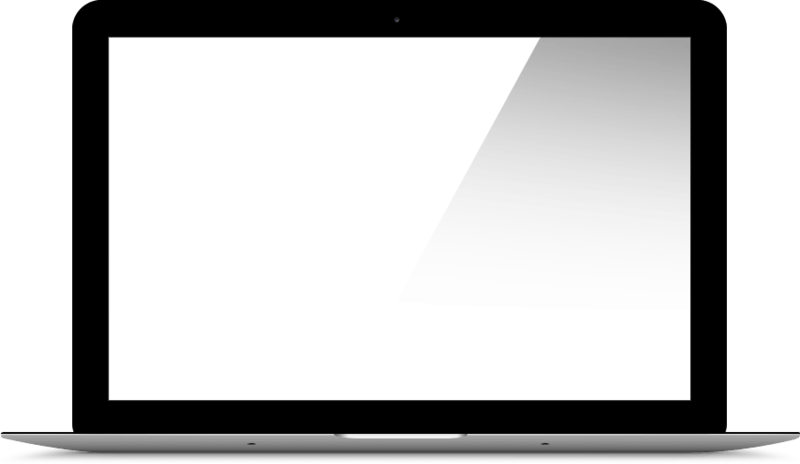 Now it's time to configure one or more of the content modules. For this example I'm going to use the Google News module - but they are all really simple to set up and you can have them all running within minutes! You simply select which of your keywords you want to use for this Google News campaign. 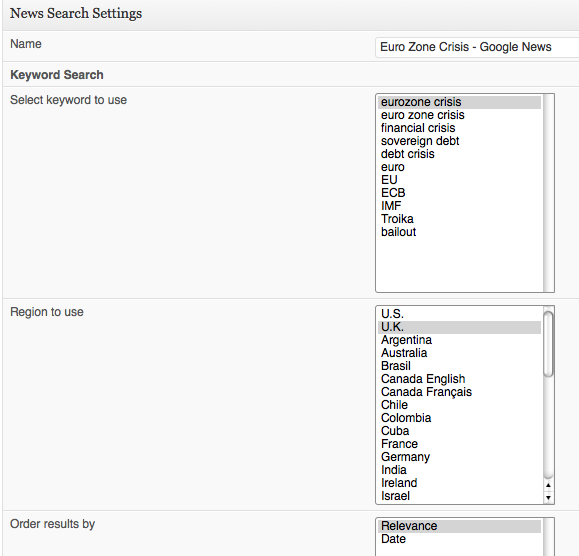 Notice that you can select which region you want to use - the plugin supports all Google News regions! Then you select which of you blog's categories your autoblogged post from Google News campaign should be posted under. You are now ready to turn auto blogging on - and from now on the Covert Social Content plugin will keep posting to your blog using the settings you have specified. You can create as many Google News feeds - for as many keywords as you like! You could literally be pulling in hundreds of unique posts per hour if you wanted to! Auto blogging and making money with social sites has NEVER been this simple! Either as drafts you can edit later - or as post that are published immediately. It's hard to do this extremely powerful plugin justice with just text and screenshots. And Many More To Come With Free Updates! Google News, Google Blog Search & ANY RSS Feed! And you can set up unlimited campaigns! Unlimited keywords in Google News and Blog Search... And add an unlimited number of RSS Feeds to pull content from! We are also working on many more content modules for this plugin. And since you will get free updates you will be grandfathered in and receive all future modules for free. Nope... you'll never have to pay another dime! You Had Me At "10x The Profit!" But What's This Going To Coast Me? But first I wanted to say that... there are indeed other autoblogging plugins out there. And unlike Covert Social Content they are not designed to create post in a "Social Press format", giving you even more headaches when you try to use them in the Covert Social Press theme! And since we will be releasing new modules for it on a regular basis, we're going to make it a membership site with a recurring monthly fee. But right now, and from this special page only... You can completely bypass any future cost and get your hands on the Covert Social Content plugin for a single low one time investment. With Your CRAZY LOW One Time Investment! 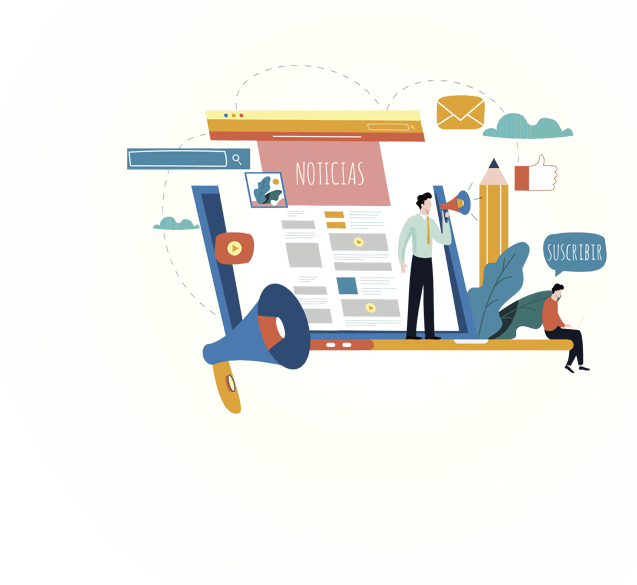 If your order the Covert Social Press theme from this special page today, we'll even include multi-site and site flipping license at no extra cost! Use Covert Social Press on as many of your own blogs as you like - existing and future ones! You can even use Covert Social Press on blogs you build for clients or on blogs you flip for profit! This means that you can literally set up hundreds... even thousands of profitable Social Press blogs, all running on completely autopilot! This is a complete and ready to go "Business-In-A-Box". Set up your Social Press site, plug in the Social Content modules and you can potentially jam your bank account with so much cash that your friends will suspect you've just robbed a bank. What they don't know is that you did... but legally. If there is a lazy man's way to riches, then the Covert Social Content plugin is your first class ticket! Creating or even finding quality content is a heck of a lot work, and it can take an eternity. Are you really interested in spending your time on a wild goose chase? Why put yourself through all the blood, sweat and tears? Even then, after you go through all the time of finding or writing a piece of content - the darn thing may not even rank! Stop! And ask yourself this: Doesn't it make sense to take advantage of this great offer right now? Your financial situation could take a radical turn in no time once you lay your hands on this plugin! Imagine yourself checking your email, and seeing "Congratulations, you've made another sale! ", again and again after you've had a nice time at the beach. This "Business-In-A-Box" concept is hands down the most fool proof way to generate content and profits fast! And, you can keep making this money year-in and year-out for ever! Of The Covert Social Content Before The Price Goes Up! P.S. You Must Act Now - before it's too LATE! If you leave this page and attempt to come back later, this $37 One-Time-Offer will be gone forever! Copyright © 2018 Covert Social press.